To the Organic Sandwich Company here in Boulder at the corner of Pearl and 16th, a sandwich is much more than just a couple slices of bread packed with meat, cheese, and greens. 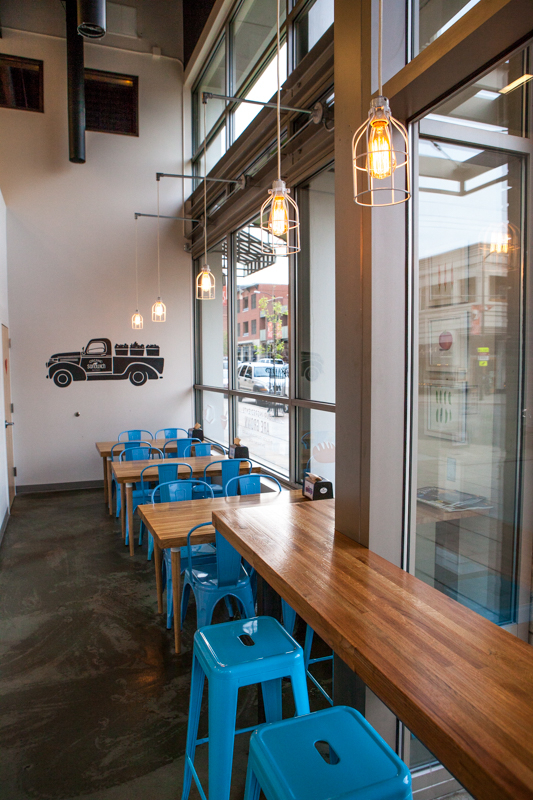 Instead, their sandwiches are representations in and of themselves of the Organic Sandwich Company – whose mission is to provide authentic, organic local products and meals to the Boulder community. This wonderful local sandwich haven promotes clean, healthy living and eating and, naturally, their sandwiches are unique, savory, fresh, and absolutely scrumptious! The idea for Organic Sandwich Company was originally dreamed up by sisters Marcy Miller and Bonnie Paisley almost ten years ago after Marcy had finished business school and Bonnie had completed culinary school. In 2005, Marcy first began developing a draft of a business plan centered on creating and selling high quality, healthy sandwiches. According to Miller, while the concept didn’t come to tangible fruition for a few years, it remained a “pie in the sky” idea for her that never quite went away. Moving with her family from the midwest to Boulder became the catalyst that kickstarted Miller into entrepreneurial overdrive, and the Organic Sandwich Company began to transition from an idea into a reality. For Miller, having a steadfast reason and a “why” behind her business was and continues to be an extremely important cornerstone for her business. This “why” for Miller and the Organic Sandwich Company is all about creating quality organic food for the community and being part of the overall clean food movement. This means always holding her business and her products accountable to this high standard of culinary creation through efforts such as constant transparency in their ingredients and using locally sourced products in their recipes when in season. Another important and unique element of Organic Sandwich Company is its integration into the local Boulder community since its very beginnings. 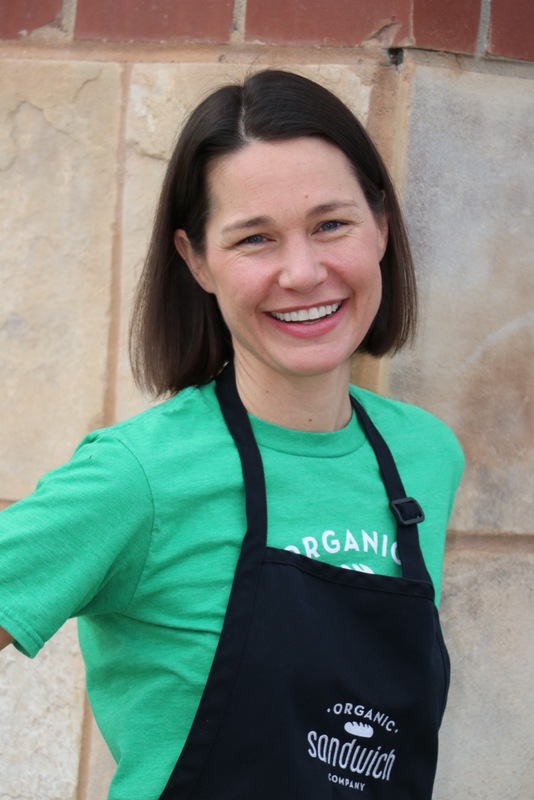 Before Organic Sandwich Company moved into their current physical location in January 2015, Miller had debuted and been serving her sandwiches at the Boulder County Farmers’ Market since April 2014. “It was an amazing way to start a concept,” Miller says of selling at the Boulder County Farmers’ Market, something that Organic Sandwich Company intends to continue participating in for the foreseeable future. This immersion into the local scene includes using local ingredients from and partnering with local farms and businesses, such as Altan Alma Organic Farms, whenever possible. Organic Sandwich Company stocks their counters and beverage coolers with goodies from local companies as well, fostering the success of the local small business ecosystem in the process. The root of Organic Sandwich Company continues to be its unique, fresh, and delicious sandwiches. With popular top sellers such as the Turkey and Bacon Jam, Turkey and Brie, and Spicy Veggie sandwiches, Organic Sandwich Company is a sandwich hot spot for locals looking for something delectable during their lunch break or, truthfully, at any time of the day. Organic Sandwich Company is a wonderful spot to sit and enjoy your sandwich or grab a sandwich to go, although you’ll likely find it hard to leave the shop if it’s Bacon Jam-making day (as it smells incredible!). Organic Sandwich Company celebrated its one-year anniversary in early February with the launch of their new breakfast menu. With mouthwatering breakfast sandwich options like their Bacon, Egg and Cheese with Carmelized Onions and their Egg Slider with white cheddar and sriracha aioli, Organic Sandwich Company is now open to serve even more locally sourced, high quality organic meals to the community. Stop by any day from 8:00 AM – 5:00 PM to support this sustainable local business and to more than satisfy your sandwich craving.